ESPN said Friday it is shutting down Grantland, one of its most ambitious Internet ventures and probably its most beloved. The network said the site was "suspended" effective immediately, and a senior ESPN source confirmed that there are no plans to bring it back. "After careful consideration, we have decided to direct our time and energy going forward to projects that we believe will have a broader and more significant impact across our enterprise," ESPN said in a statement Friday afternoon. The surprising announcement came five months after ESPN split up with Grantland's founding editor Bill Simmons. There has been an exodus of talent from the site since then. About 40 writers, producers and editors will be affected by the decision. Writers who have contracts will be honored. Some will continue to write for ESPN's website and produce videos for the ESPN Films unit. But an unknown number of others will be leaving. Some of the site's most distinctive work, like its television show recaps and features about movies, will be going away. "We're getting out of the pop culture business," the senior ESPN source said. ESPN executives are meeting with the affected staffers on Friday afternoon. Michael Baumann, a freelancer, complained that he found out about the closure through Twitter, not from the company directly. The closure of Grantland comes at a time of broader cutbacks at ESPN. The network earns enormous profits for parent company Disney (DIS) but is under pressure for a number of reasons, most of them related to broader television marketplace challenges. Earlier this month the network began laying off several hundred people. While the Grantland decision is not a direct part of the layoffs, it is related to the general effort to refine and refocus the business. In some ways the decision is an admission that Simmons was the beating heart of the site, so much so that a heart transplant is impossible. There was such an outpouring of affection for the site that "Grantland" was a top trending topic on Twitter within half an hour of the announcement. "I loved Grantland more than I've ever loved anything on the Internet," wrote alum Kevin Lincoln, now an editor for New York magazine. ESPN's statement praised Grantland for having "quality writing, smart ideas, original thinking and fun," and singled out Simmons for being "an outstanding editor with a real eye for talent." Simmons' replacement, Chris Connelly, will "return to his prior role" at "SportsCenter" and the newsmagazine "E:60," the statement said. An ESPN spokeswoman said the company remains "totally committed" to two of its other digital offshoots, FiveThirtyEight and The Undefeated. Those two were modeled after Grantland. Half an hour after the announcement, Simmons tweeted his reaction to the news: "Watching good/kind/talented people get treated so callously = simply appalling." 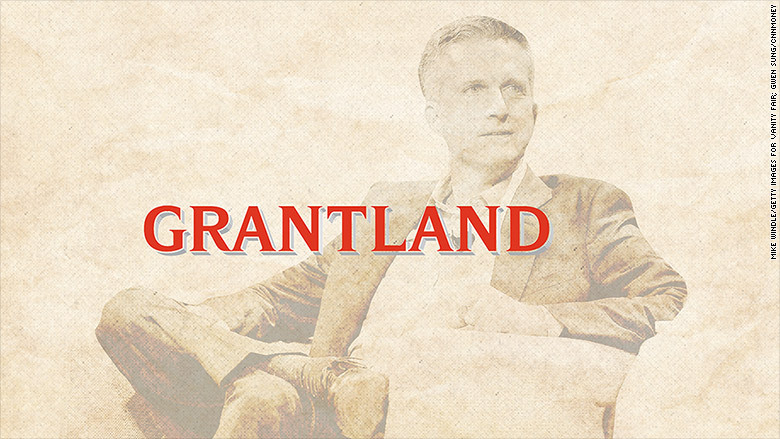 In retrospect, the shuttering of Grantland may have started many months ago. Simmons' divorce with ESPN came after he frequently clashed with the channel's higher-ups. He was hit with a well-publicized suspension last year after he practically dared his bosses to discipline him for his public criticism of NFL Commissioner Roger Goodell. In May, Simmons found out via a story in The New York Times that his contract was not being renewed. Since then, he has continued to criticize ESPN in public appearances and on his podcast. He recently commented that the network "is in the bag for the NFL." In the first half of 2016 Simmons will start hosting a weekly series for HBO.